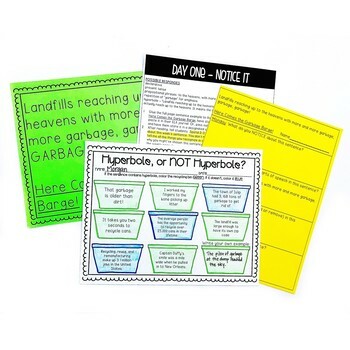 This mini-reading unit is perfect for Earth Day, or anytime you're studying conservation and pollution. 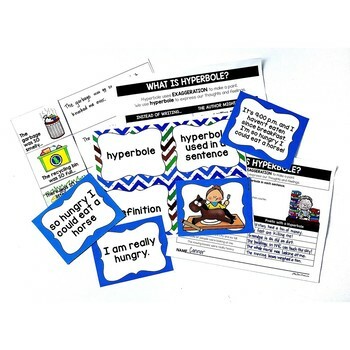 It integrates mentor sentences, close reading, reading comprehension, and figurative language skills! Make sure you download the preview to get a peek at everything that's included! 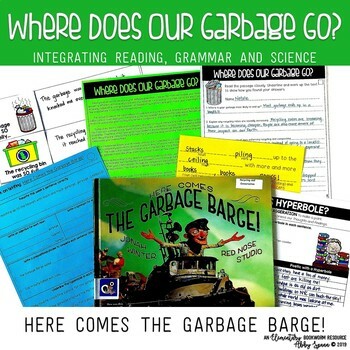 close reading passage: Where Does Our Garbage Go? You will love how seamlessly this integrates science, language arts, and reading into your day. Please ask any questions you have via the Q&A tab BEFORE purchasing. I'm happy to answer them!